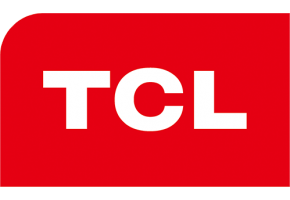 Established in 1981 in China, TCL is now one of the world's leading consumer electronics manufacturers with the TCL brand launching in Australia in 2004, forming TCL Electronics Australia Pty Ltd.
As one of the largest appliance and television makers, TCL is a leader in technology and innovation. Consistently combining advanced engineering and innovative, stylish designs TCL deliver quality products and in particular, outstanding entertainment experiences. TCL has diversified into many areas such as multimedia electronics, home electrical appliances, telecommunications equipment and white goods. TCL is committed to providing customers with quality products and utilising the latest technological advancements. Browse through our selection of TCL products today. For further product or warranty information please feel free to contact us on 1300 664 684 or TCL directly on (03) 8541 4666.